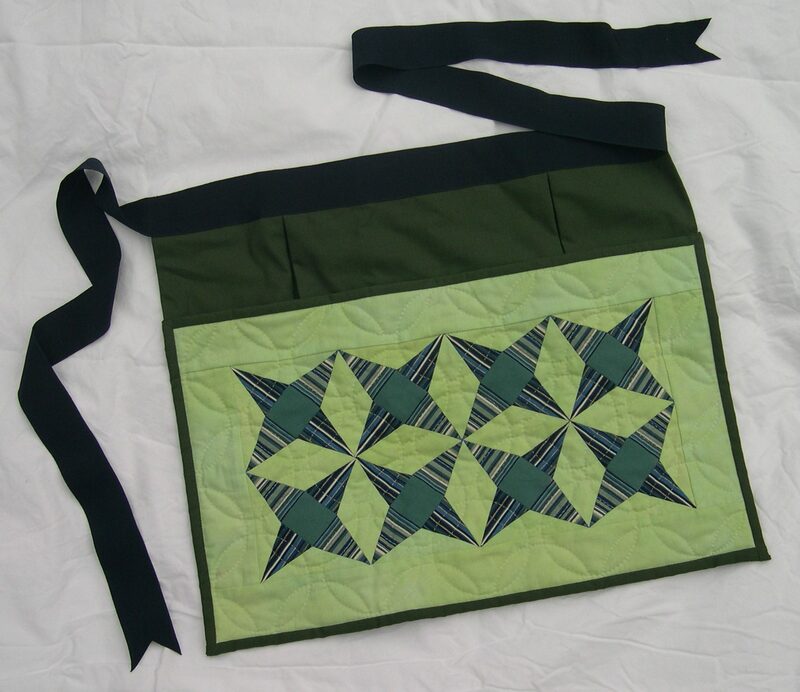 As well as being relaxing and portable, hand-piecing is a good choice for designs which are difficult to machine-piece, such as those which have set-in corners, or which need precision placing of fussy-cut fabrics. 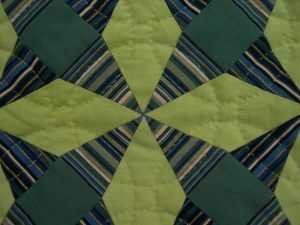 Mosaic piecing in which the fabric is tacked over geometric paper shapes first, before being stitched together by oversewing. 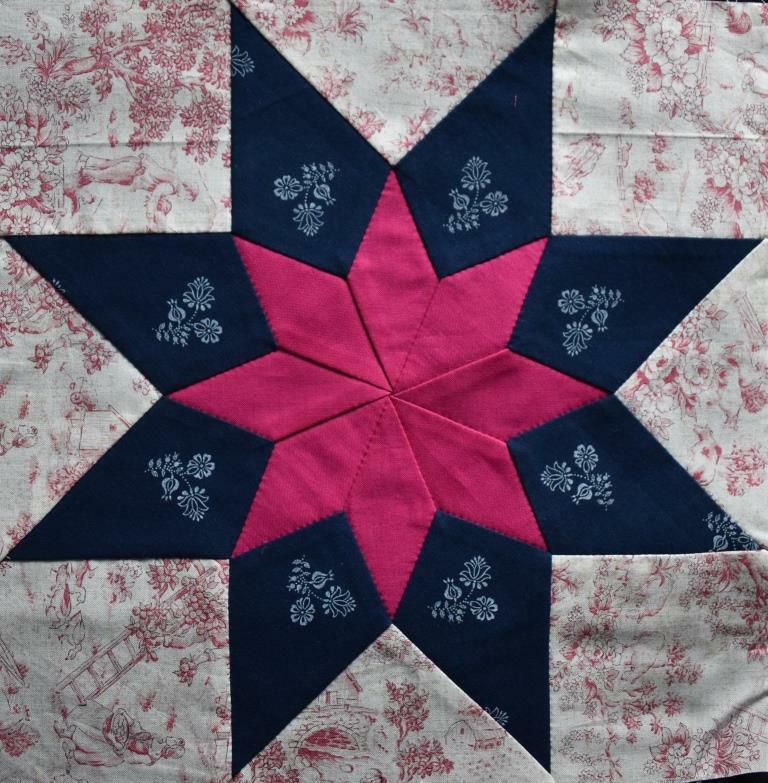 This method is the most commonly used on antique quilts from the UK, and is hence often known as English paper piecing, or EPP. 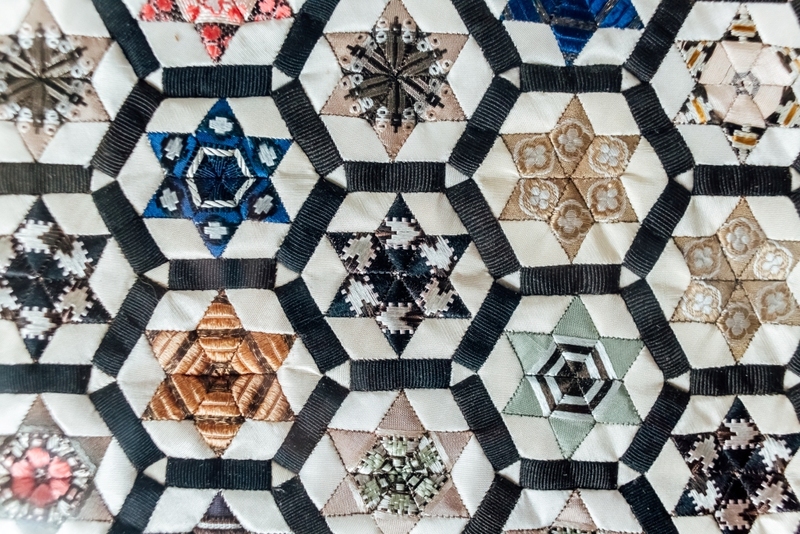 It is not exclusive to England however, but is found in many other countries, so the term mosaic piecing is preferred by many quilt historians. 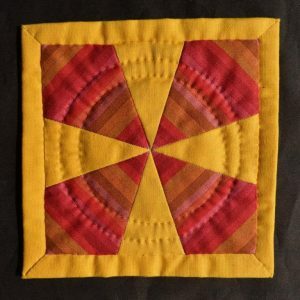 This method is often associated with hexagons, but is ideal for other “one-block” tessellating shapes such as equilateral triangles, “apple-cores” or the diamonds used in the well-known “Tumbling Blocks” design. 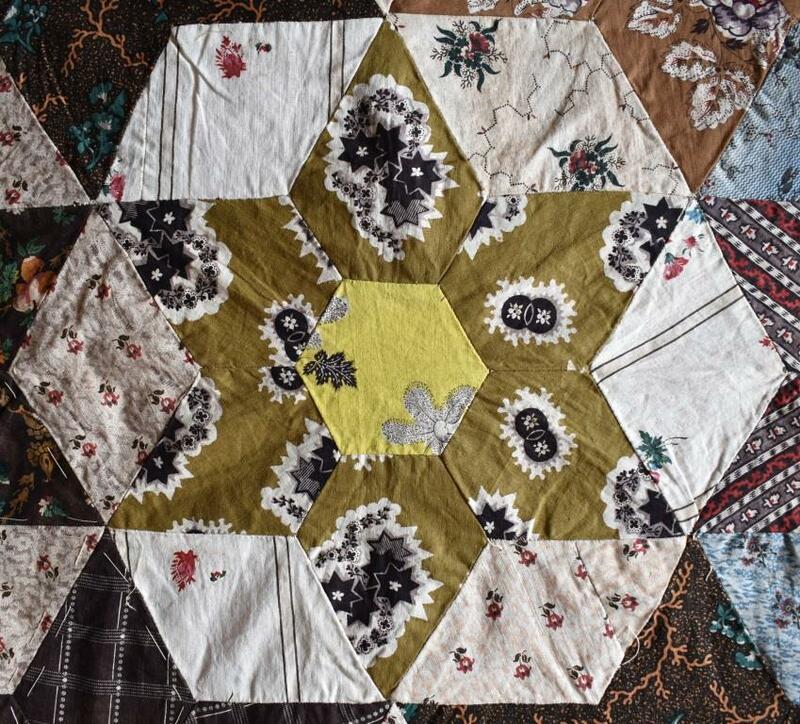 Traditionally, because paper was expensive, any available scraps were recycled for patchwork use. 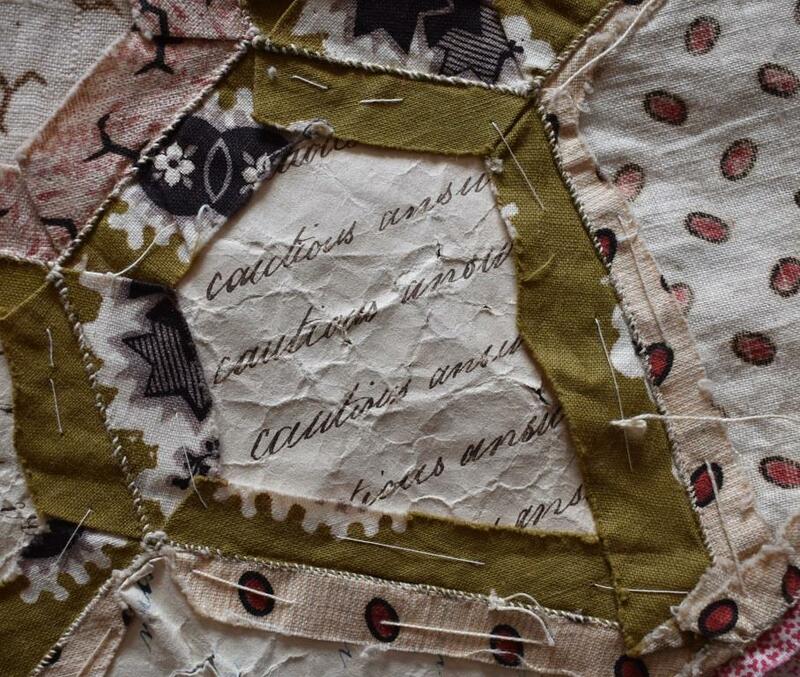 The papers are still in the quilt top shown above, and you can see that a child’s copybook, with its repetitive practice phrases has been reused. 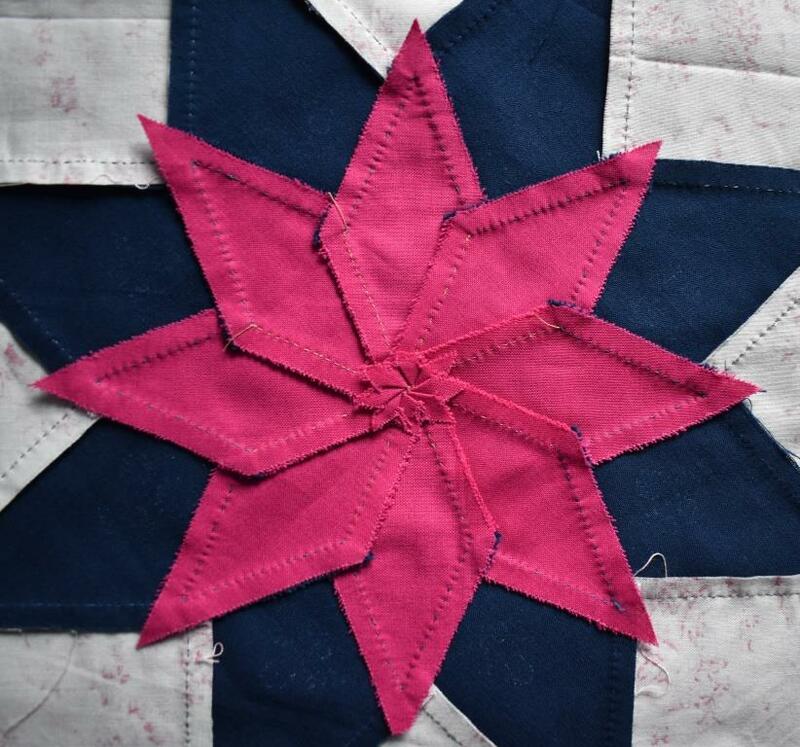 Either of these hand-piecing methods are also very suitable for blocks, particularly those where the seams don’t run straight across, making piecing by machine more awkward. 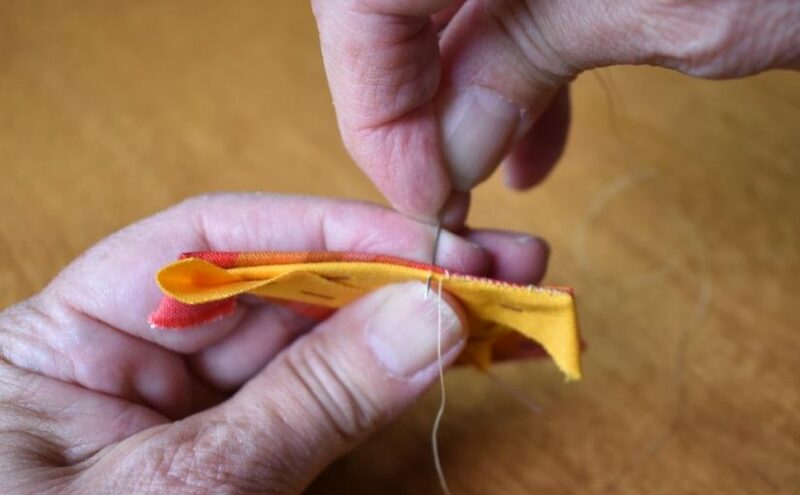 One other advantage to hand piecing is that as the stitching does not cross the seam allowance, the seams can be manipulated very easily to reduce bulk. 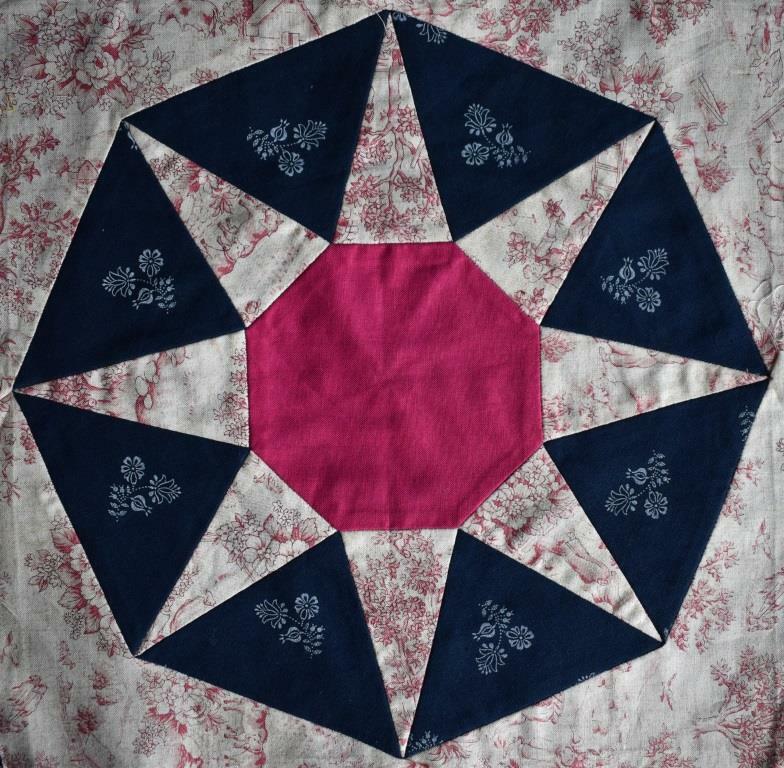 The seam allowances can all be made to spiral round the central point. 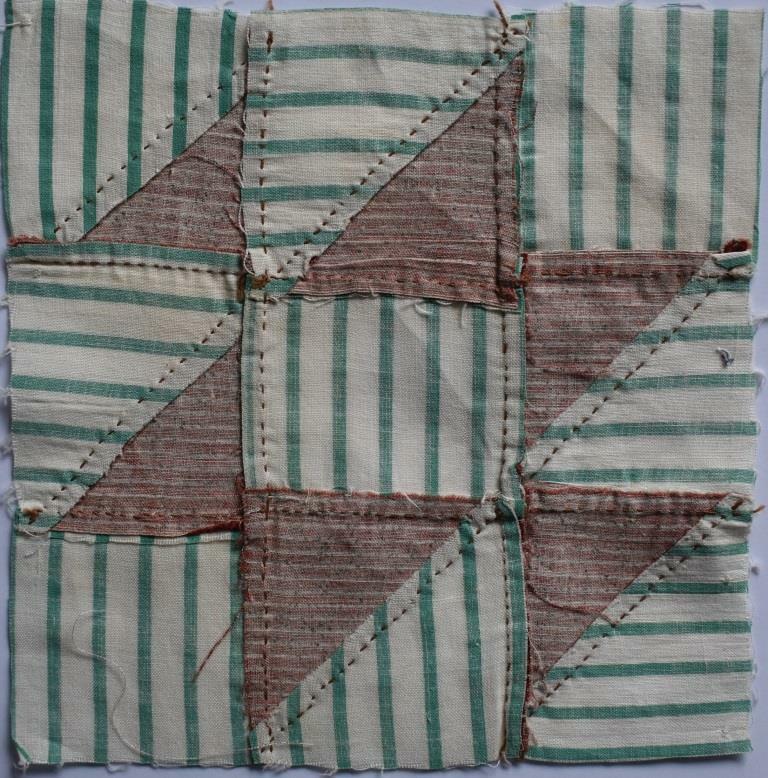 I like working with striped fabrics, and although I often use the sewing machine for these, hand stitching gives that extra degree of control for small, fiddly projects where the direction and placing of the stripes is really important. 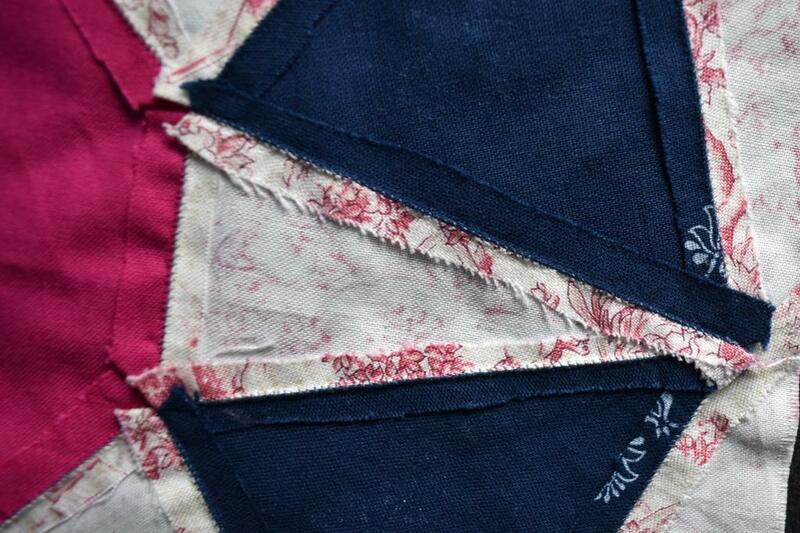 This close-up shows the centre of the peg bag, and was the inspiration for another little project – a Mug Rug . 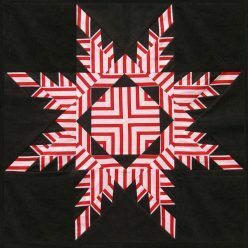 This is made using mosaic piecing – and is a good project to try if you have only ever tackled hexagons. Have a closer look at the sequence of photos showing how it is made on the Swirling stripes Mug Rug page. 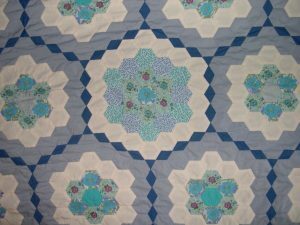 Or, if you would like to try it for yourself, it is available either as a complete kit, or as a download pattern from my online shop.